The success of Lehigh Valley Greenways is based in large part on the effective working relationship between the state lead and funder, PA Department of Conservation & Natural Resources (DCNR), and local lead and administrative entity, Delaware & Lehigh National Heritage Corridor (D&L), and the network of partners from non-profit organizations, county and municipal government. This three-tiered approach, coordinated by D&L, allows partners to target funding, pool resources, and move projects forward. Perhaps the most high profile contribution of the conservation landscape has been its awarding and administration of Lehigh Valley Greenways mini grants, which have spurred dozens of innovative projects across the region. 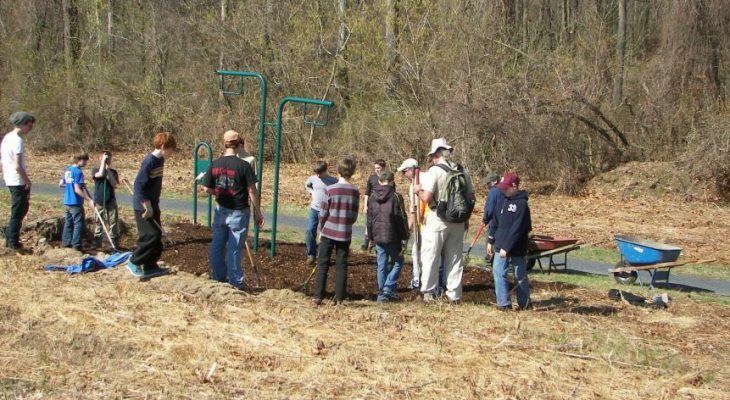 From urban forestry initiatives and trail design to signage and technical publications, Lehigh Valley Greenways mini grants assist non-profits, municipalities, and educational institutions to accomplish a variety of projects to benefit residents of the Lehigh Valley. The D&L and DCNR provide technical assistance to grantees throughout the process, helping our partners navigate reimbursements, make contact with state agencies, and implement sustainable policies. In short, we ensure that any project worth funding succeeds to the fullest extent possible and follows the highest standards for sustainability. Lehigh Valley Greenways is one of seven Conservation Landscapes supported by the Pennsylvania Department of Conservation and Natural Resources. 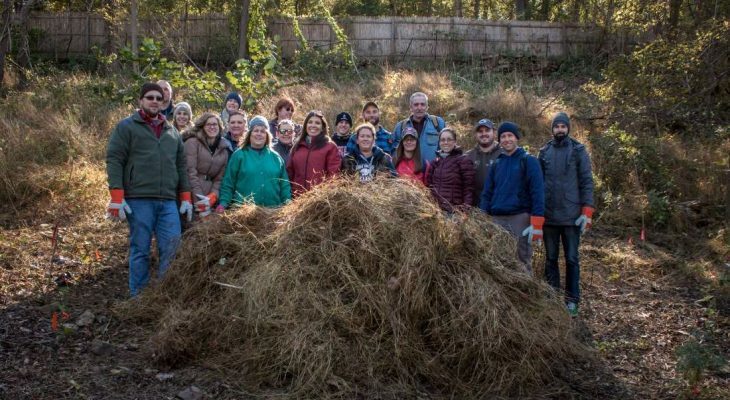 The Greenways Partnership includes more than 25 organizations and municipal partners dedicated to the conservation of and connection to natural resources in the Lehigh Valley region. The Lehigh Valley Greenways Mini Grant Program is a reimbursement grant program funded by the Pennsylvania Department of Conservation and Natural Resources (DCNR) and administered by the Delaware & Lehigh National Heritage Corridor (D&L). The purpose of the mini grant program is to inspire collaborative, strategic approaches to regional conservation and/or outdoor recreation opportunities and to implement ready-to-go projects that protect and promote the natural resources of the Lehigh Valley and advance the goals of Lehigh Valley Greenways. Lehigh Valley communities are linked to greenways, trails, and outdoor experiences resulting in stronger local economies and improved public health, green infrastructure and natural resources. Eligible project types are educational programs/workshops, special purpose studies, or implementation projects. 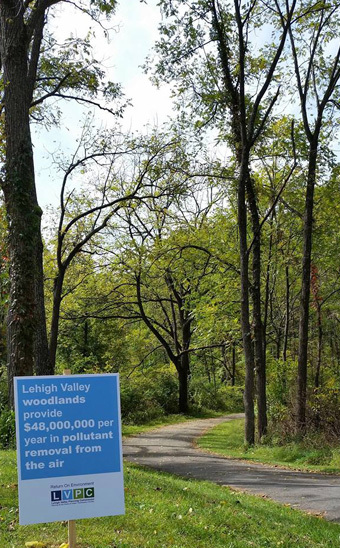 Eligible projects should advance the Lehigh Valley Greenways vision and goals and be consistent with previously completed local, county, and regional plans such as open space, greenway, trail, recreation, comprehensive, watershed and/or rivers conservation plans. The list of plans and recommendations directly addressed by the proposed project should be included in the application narrative. Projects should be single-year projects with a secure 50% or greater match and must be located in the Lehigh Valley region (Lehigh or Northampton County). 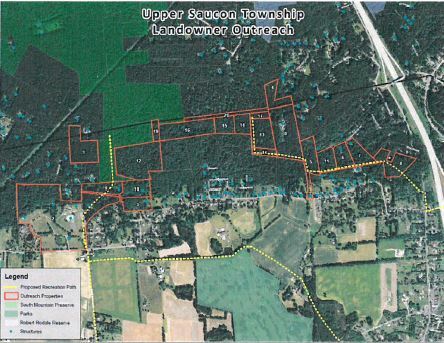 Please note that projects along the D&L Trail in Carbon and Luzerne Counties should apply to Pocono Forest and Waters Conservation Landscape for mini grant funding. What projects and expenses are NOT eligible? 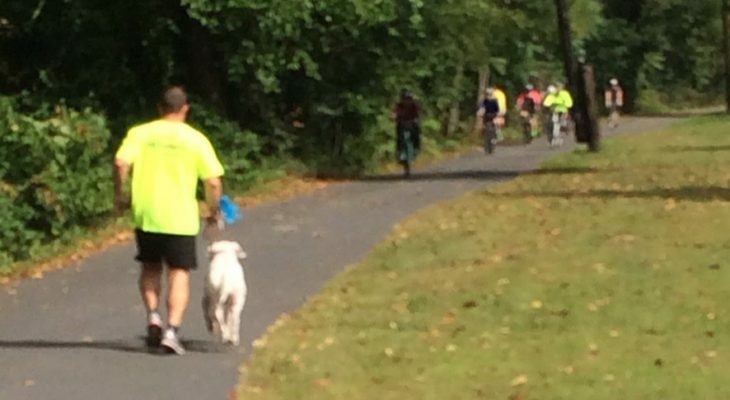 Lehigh Valley Greenways mini grants will not fund membership drives or fundraising, real estate acquisition or property easements, or any projects not entirely related to at least one of the four goals of Lehigh Valley Greenways. Reimbursement for any expenses prior to the effective start date listed on signed agreement. In-house professional services (grantee staff) greater than 50% of the total amount of awarded grant (does not apply to matching funds, only to reimbursement funds). The billable rate officially established by grantee governing body can include hourly wage, fringe benefits, and operational overhead costs. Award items, free giveaways, or promotional items (certificates, trophies, plaques, tshirts, hats, magnets, pins, etc) – (does not apply to matching funds, only to reimbursable grant funds). Indirect costs, general operations or overhead charges (rent, utilities, website hosting). Power equipment (lawn mowers, chain saws, weed wackers). Each applicant is limited to a maximum of two project applications per grant round. Applicants with multiple project ideas are encouraged to contact Claire Sadler for advice on prioritizing your projects. Applications that have been funded by another Conservation Landscape are ineligible. Applicants are strongly discouraged from repeatedly applying for mini grant funding to support the same project. Funding for the Lehigh Valley Greenways Mini Grant Program comes from Pennsylvania Department of Conservation and Natural Resources, Bureau of Recreation and Conservation, Environmental Stewardship Fund through a grant to the Delaware & Lehigh National Heritage Corridor, which administers the mini-grant program. 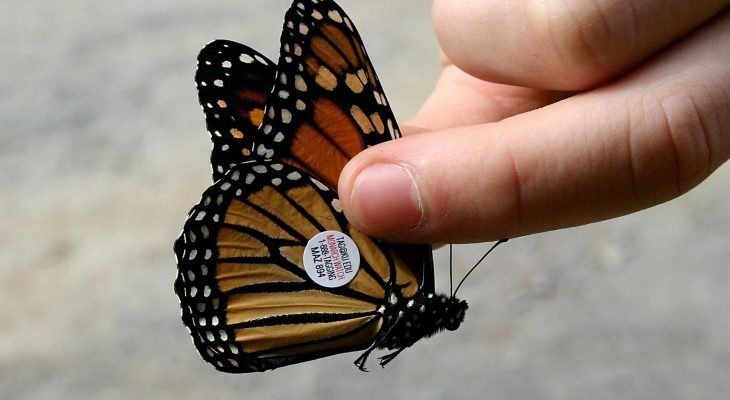 All mini-grant recipients will need to include the DCNR following funding citation and three accompanying logos on any printed materials, products or signs (brochures, flyers, completed plans, educational handouts, etc.) and send a picture of the acknowledgement with closeout. For the 2019 round, there is $75,000 available. Grant requests shall be a minimum of $1,000 and not to exceed $10,000, with total project costs at least twice the grant request. NEW FOR 2019 – Requested grant amounts should be rounded down to the nearest $100 increment. Mini grants are on a reimbursement basis so the mini grantee will be expected to expend eligible project costs then submit for 50% reimbursement of total costs up to the awarded mini grant amount. All mini grants must be matched with cash and/or eligible non-cash (in-kind) contributions at a minimum ratio of 1:1. Example: Grant Request (50% or less) + Eligible Match (50% or more) = Total Project Cost (100%). Your application MUST include support letters from any partner organization(s) that states the agreed upon donation amount or value to be used as match. 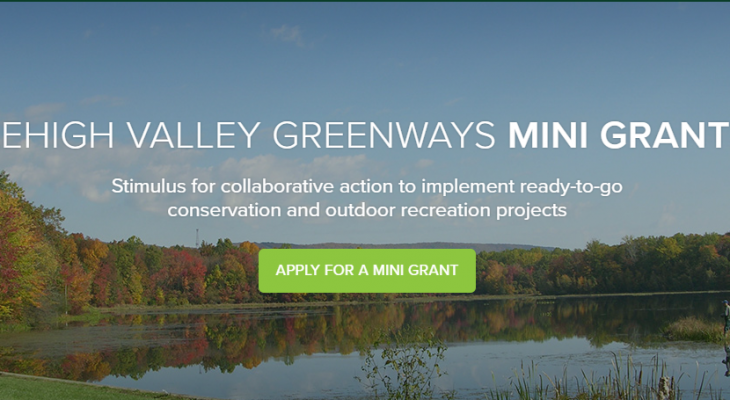 Lehigh Valley Greenways mini grants may not be used to fulfill match requirements for other DCNR funded grant projects and DCNR funds may not be used as match for mini grants. Mini grantees are responsible for following the competitive bidding requirements that apply to their organizations. These vary based on whether the organization is a municipality or a non-profit. Mini grantees not familiar with the applicable bidding requirements are strongly advised to consult with their solicitor/attorney. Reimbursement may be applied for in one complete payment or broken into two payments, one mid-way through the project and the remaining funds after completion of the project. If requesting two payments, at least ten percent (10%) of the mini-grant award will be held until all final reporting is submitted complete and accurate. **All potential applicants must attend this meeting or schedule a separate meeting with Claire Sadler to discuss your projects. Sending a representative to the pre-application meeting is strongly preferred so you are present for the presentation and can learn from the questions of other applicants. May 3rd, 2019 at 4:00pm– Application period closes and online application form is no longer available. The review committee reserves the right to request additional information to supplement the submitted application as needed. Applications will be listed as SELECTED for funding, NOT SELECTED for funding, or held as a HIGH VALUE PROJECT to be considered for funding if resources become available before the next mini grant application process. Eligible projects are single-year education, planning and implementation projects located within Northampton and Lehigh Counties . What are the grant request limits? Grant requests are limited to minimum of $1,000 and maximum of $10,000. All requests should be rounded down to the nearest $100 increment. What is considered eligible local match? Cash match that is secured and available when you list the match on your grant application. When do we need the cash match available? Cash match should be secured and available when you list the match on your grant application. Can I match the mini grant to a DCNR grant? No, the mini grant program is funded through a DCNR funding source, and you cannot match DCNR funds to DCNR funds. What are the terms and conditions of the grant agreement if I am awarded a mini-grant? Mini-grantee will maintain a separate project file which shall include the original application, executed mini-grant agreement with D&L, copies of all contracts related to the project, copies of all relevant correspondence regarding the administration of the project, and transactions and documentation of use of project funds. The workshop offered local educators the opportunity to earn continuing education hours and learn about invasive species removal, identification and the threats they pose to the Lehigh Valley. 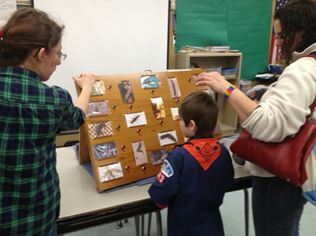 Penn State Extension presented an introduction to invasive plants and insects; followed by fun, hands-on ways to keep their students engaged in the topic of invasive species. The PA Fish & Boat Commission then gave an informative lecture on the many aquatic invasive species affecting our watersheds. 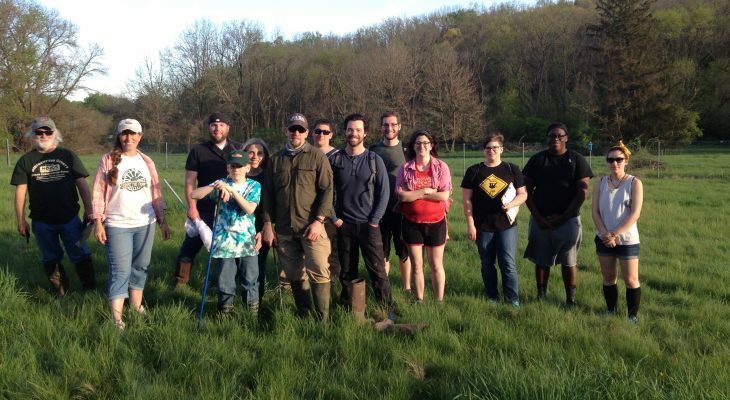 The group was then taken on an invasive plant identification tour of the Camel’s Hump Farm at the Johnston Estate and assisted with stilt grass removal. 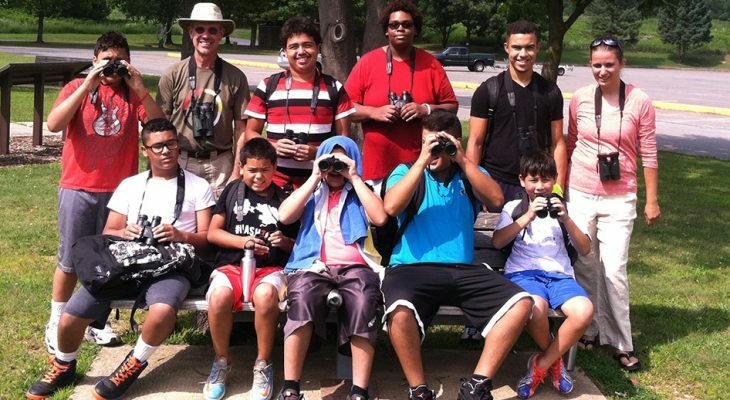 In 2018, the Delaware River Sojourn continued its focus on engaging youth organizations in the Lehigh Valley by expanding our scholarships for youth participation. 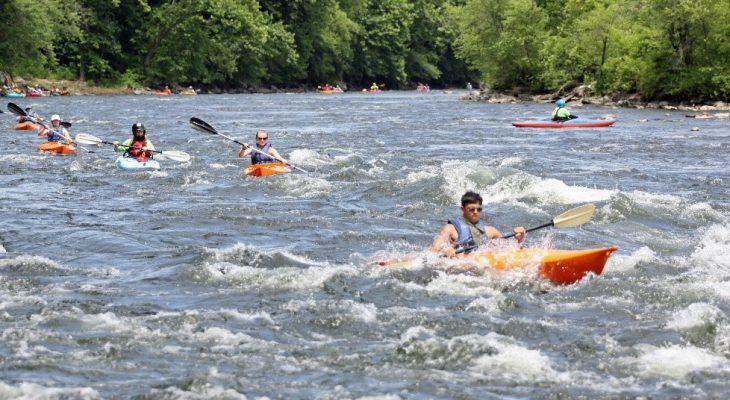 The Delaware River Sojourn hosted 8 days of paddling in 2018, providing scholarships to 65 youth and 13 leaders made possible thanks to the funding provided by the Lehigh Valley Greenways program. In 2018, the Sojourn celebrated the 50th anniversary of the Wild & Scenic River Act, expanded partnerships with more agencies and non-profit organizations, and notably welcomed PA DCNR Secretary Cindy Dunn to join us on the river and for remarks for a new trail system opened in Upper Mount Bethel, Pennsylvania. Members of the Ironton Rail-Trail Commission, in order to better meet the needs of walkers, joggers and cyclists, decided to install 2 Pedestrian/Cyclists Trail counters to assess the usage by location, direction, and count over time. Trails are a perfect opportunity to develop interest in the local environment and community. 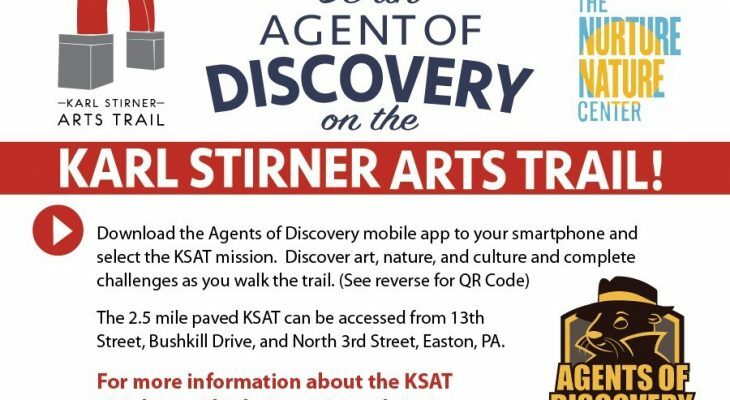 Nurture Nature Center, with the Karl Stirner Arts Trail (KSAT) Board, developed an educational science and art app as an interactive way to engage visitors along the KSAT that runs along the Bushkill Creek to downtown Easton. The free app displays information on art pieces along the trail, the Bushkill Creek, native plants, and local history. 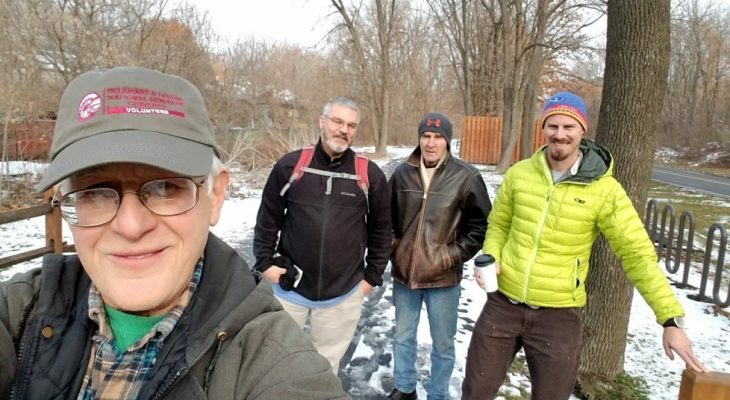 With the assistance of the Lehigh Valley Greenways Mini-Grant, Upper Nazareth Township was able to successfully complete its first ever Official Map! 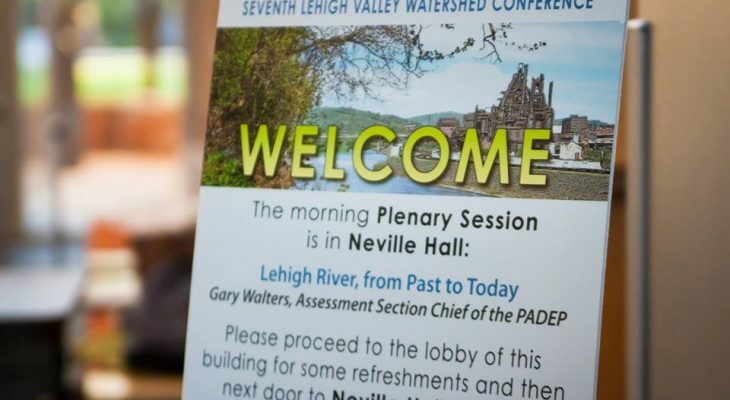 Over 160 participants attended the 7th Lehigh Valley Watershed Conference, which featured 19 talks on a wide variety of water and natural resource topics. A track on MS-4 management and two invasive species workshops were conference highlights. The project site was located in Lowhill Township on State Game Lands 205. Earthen dams obstructed headwater springs and tributaries to the Jordan Creek. The three impoundments created by dams were warm, sediment laden water, dense with algae and impairing water quality and wildlife habitat. 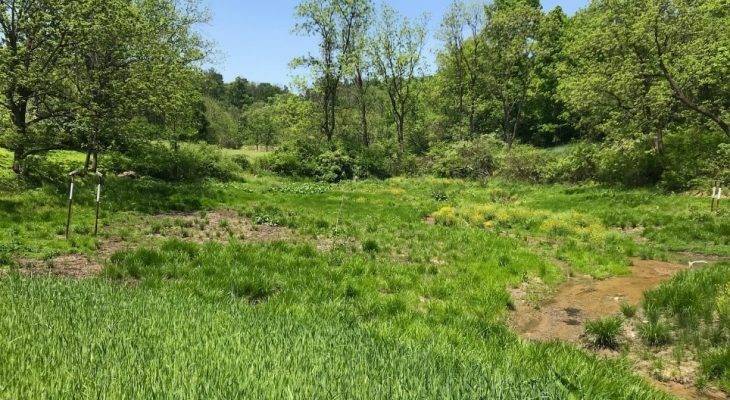 Wildlands Conservancy partnered with Pa Game Commission to remove the dams and restore coldwater springs and wetlands, address nonpoint source pollution in the Jordan Creek and enhance wildlife habitat. In 2017, the City of Easton completed a complete rehabilitation of Hugh Moore Park. This signage grant was able to add “You are Here” map signs and a variety of directional signage to assist park visitors in locating the various amenities throughout the park including the National Canal Museum, the Josiah White Canal Boat, dog park, playground, and bicycle park. 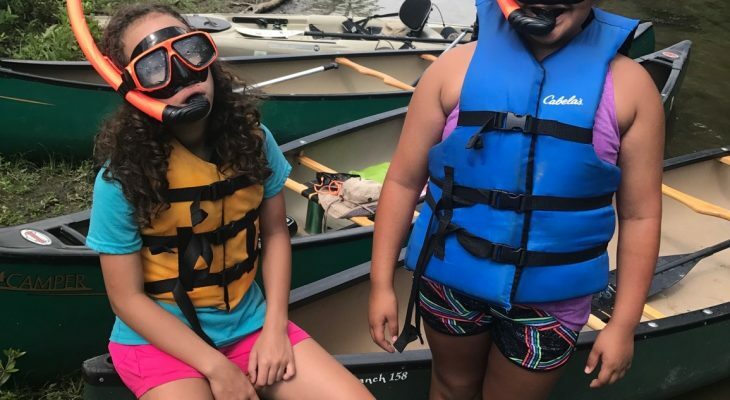 The goal of our River Snorkeling Program is to provide a unique perspective of the ecology of the Lehigh River water trail to students and families of the Lehigh Valley. Most people are awed at the incredible diversity of fauna that is found by experiencing the full depth of the water column. With the river snorkeling program, we are able to create outdoor recreation and trail connections, provide local education and outreach, and promote the region’s water trails in order to increase appreciation of natural resources. 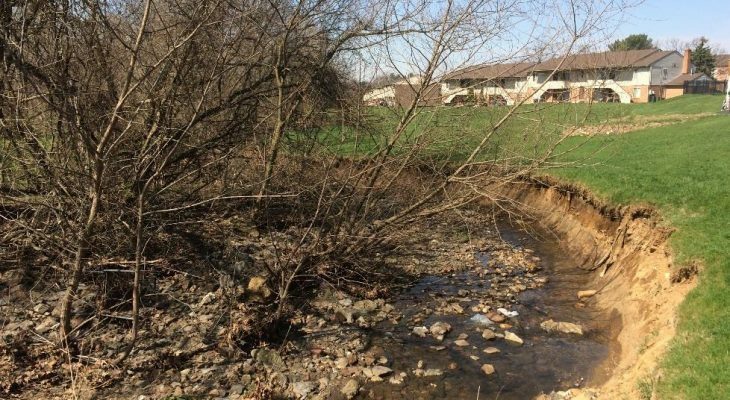 LCCD worked with PA Fish and Boat Commission and Wildlands Conservancy to produce a design and complete the permit and erosion and sediment control plan for a stream stabilization project in the Leibert Creek Watershed. Implementation for the project is planned to begin in 2019, pending funding. The project will involve the installation of 25 fish habitat structures that will also stabilize the streambanks and establish a native riparian buffer to reduce nonpoint source pollution and further protect the streambank. Throughout the summer of 2017, Lehigh Gap Nature Center (LGNC) partnered with Wildlands Conservancy and Northeast PA Kayak School to provide hands-on watershed education experiences for youth and families on the Lehigh River Watershed. The highlights of this initiative were a five-day River Camp attended by 20 youth, plus three Lehigh Gap Bike and Boat adventures for families. 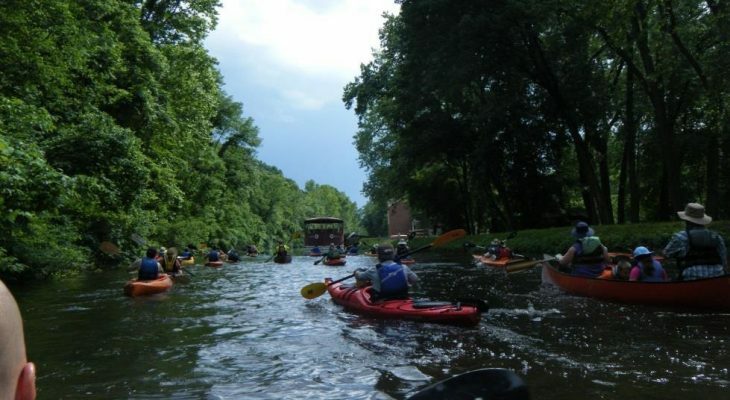 All programs sought to foster an appreciation for the Lehigh River – and the rich natural and cultural history it supports – through engaging land and water-based explorations. As part of this initiative, LGNC also enhanced its trailside watershed engagement display to better inform trail users on the watershed. 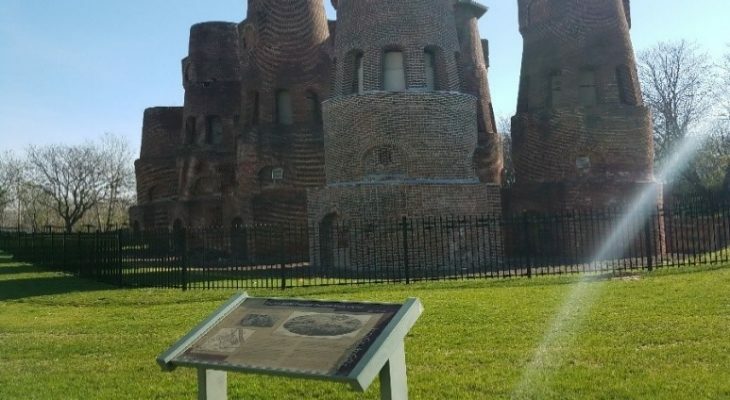 The project included preservation of the West #1 kiln, new aesthetically pleasing security fence and new educational signage. 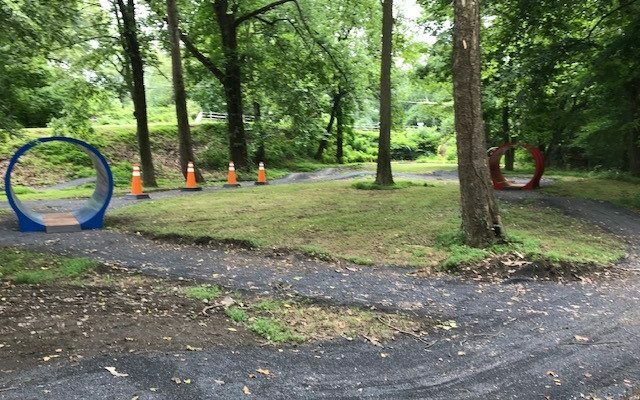 The Valley Mountain Bikers procured new way finding blazes for the multi-use trail system at Salisbury Walking Purchase Park using grant money awarded by the Lehigh Valley Greenways. The new blazes were installed in Spring of 2018 and replace old blazes which were not adequate to distinguish different trails at the system, especially for new users of the park. 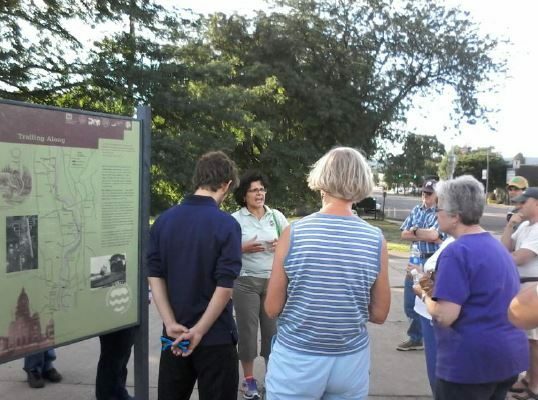 Activating Bethlehem’s South Side Greenway involved multiple pop-up projects designed to both beautify and increase residents’ and visitors’ use of the South Side Greenway. 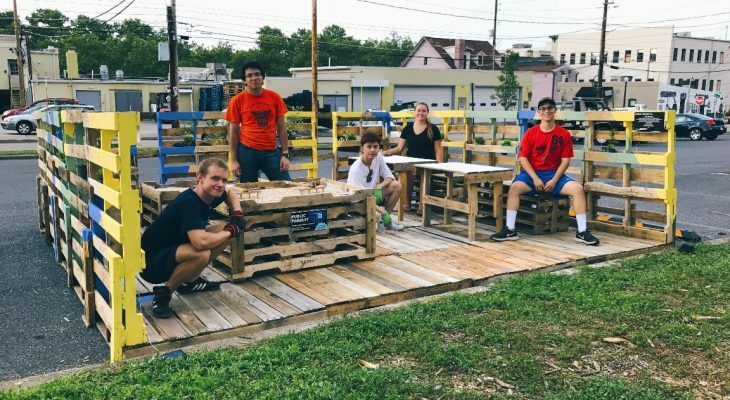 These projects included a pop-up parklet, transforming a parking spot adjacent to the Greenway into a seating area with a free library and sand garden, and pop-up murals painted by local artists during the Spring on the South Side festival. This was a collaborative effort involving Lehigh University students and faculty, Banana Factory staff, and representatives from the city’s Department of Community and Economic Development and the SouthSide Arts District. Nurture Nature Center, a science-based community center in Easton, PA, installed a new interactive exhibit to teach watershed science. 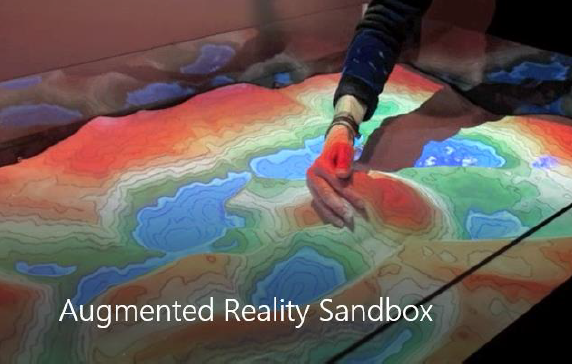 The Interactive Watershed Exhibit is an augmented reality sandbox that allows visitors to modify a sand landscape and use their hands to create rain. 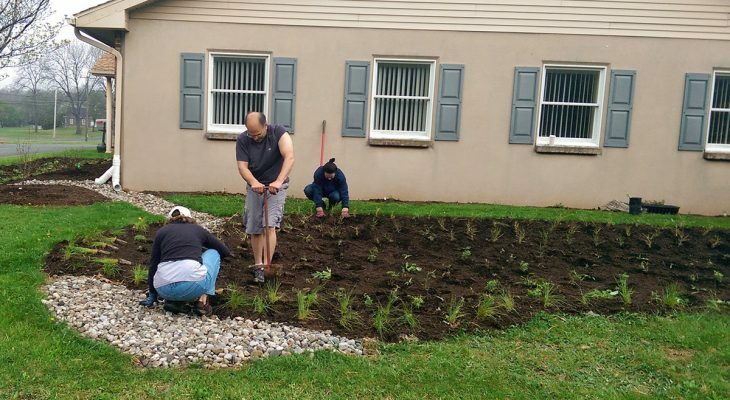 This year’s Master Watershed projects include rain garden design and installation in Plainfield Township, Pen Argyl Borough, and Upper Saucon Township buildings, an education display at Illick’s Mill in Bethlehem, and a green roof table top display for educational events. 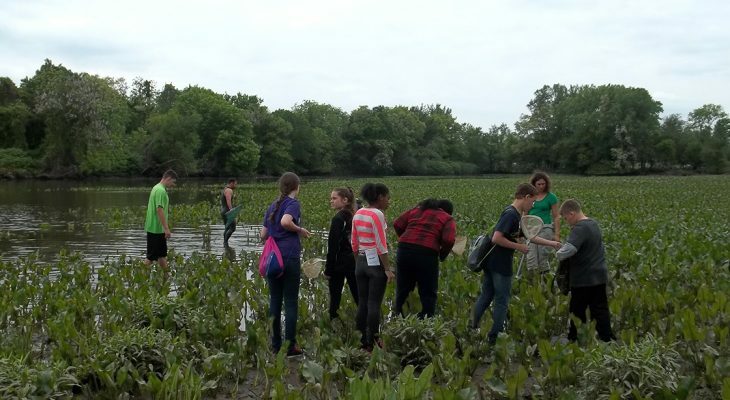 This grant introduced Allen High School students to hands-on environmental monitoring techniques in local ecosystems, through analysis of stream macroinvertebrates, bird banding, and native plantings. Activities combined classroom information, informational videos to prepare the students for their field trip activities, and follow-up in-class and online work to allow them to analyze the data they collected. 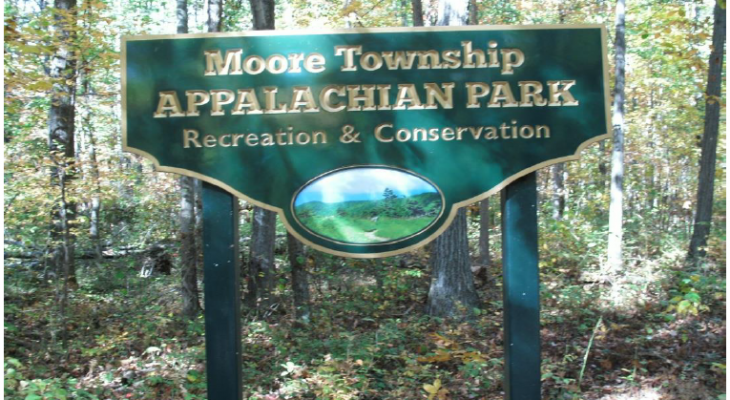 The purpose of the Stewardship and Access Plan is to provide guidance to the Township Board of Supervisors for the sound management of the Township’s Appalachian Park and its natural resources. The goal is to increase the conservation value of the property while providing increased passive recreational opportunities and a venue for learning through educational programs and research. 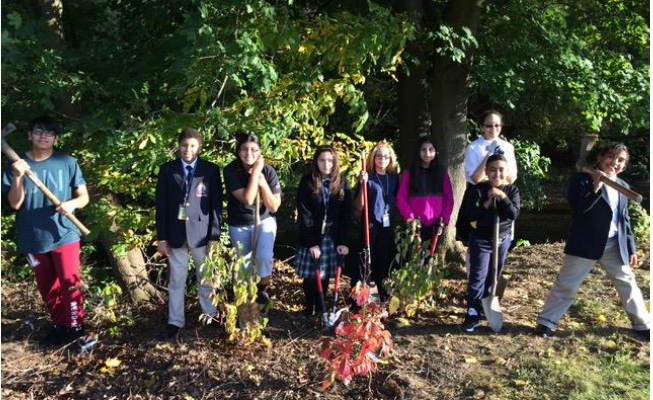 Students in the Environmental Club at Roberto Clemente Charter School designed and implemented a riparian restoration project in Allentown’s Fountain Park. Students mapped the restoration area, selected the plants, and planted them. 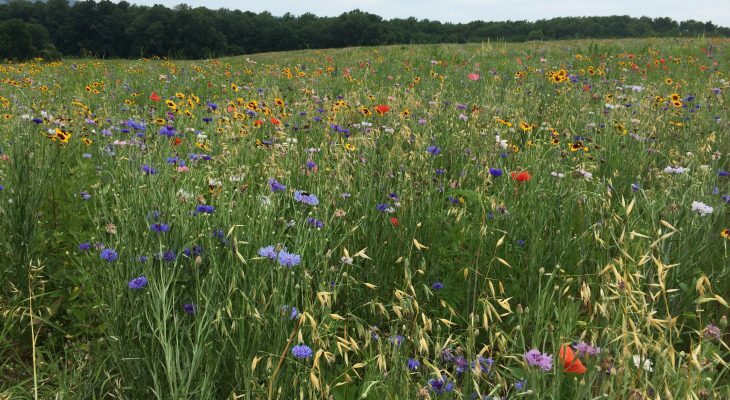 Bushkill Township planted a 35 acre native grass and wildflower meadow on the 90 acre Ballas Tract in the spring of 2017. The parcel contains an existing fishing pond and a one mile perimeter trail which can be used for active and passive recreation. We developed a two-part teacher workshop program to promote the use. of schoolyard gardens. Part one of the workshop included the rationale and educational uses for a schoolyard garden. Part two instructed the teachers in designing, planting, and maintaining their own schoolyard garden. Each teacher received $150 worth of plants from Edge of the Woods Nursery. 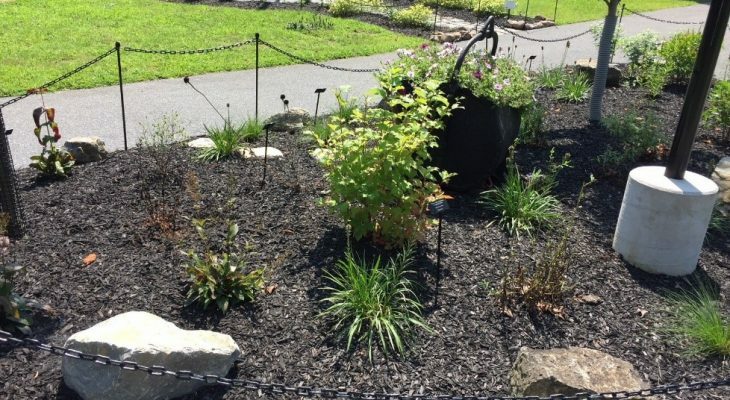 The project replaced a 60-foot diameter compacted lawn with a multipurpose stormwater bioretention area on the Lafayette College campus. The project serves to (1) reduce runoff to Bushkill Creek from campus, (2) provide pollinator habitat through the use of native plants and shrubs, (3) incorporate signage to educate the college community about stormwater runoff and pollinator decline, and (4) provide a site for student research on green infrastructure and local ecology. 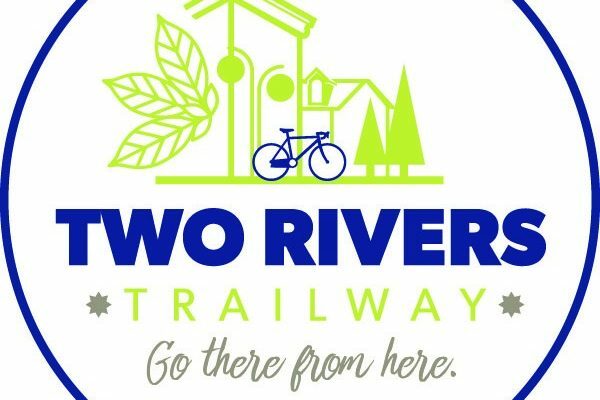 The Two Rivers Trailway is a beautiful and scenic 30-mile network of multi-use trails located in Northampton County, PA. This project involved the development of a logo and tagline as well as the installation of wayfinding and map signage along the entire corridor. 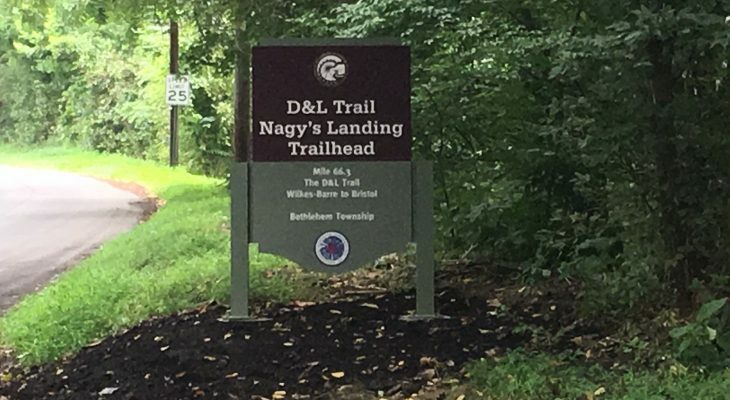 For many years, the D&L Trail running through Bethlehem Township along the Lehigh River has been one of the community’s “best kept secrets” The tree covered path adjacent to the river has long been a haven for those seeking rest and respite from other bustling parts of the community. Township Officials were determined to give the community’s “4th Corridor” the reception it deserved by providing proper signage, fencing and other amenities to serve its many users. 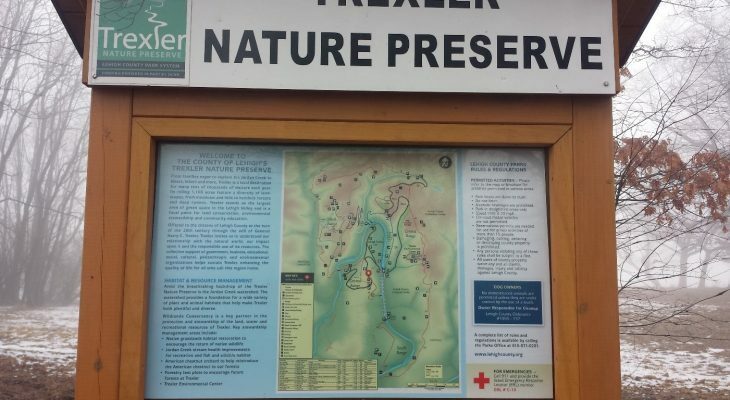 Lehigh County partnered with Wildlands Conservancy to improve educational signage and messaging, and implement best management practices at the 1,108-acre Trexler Nature Preserve. 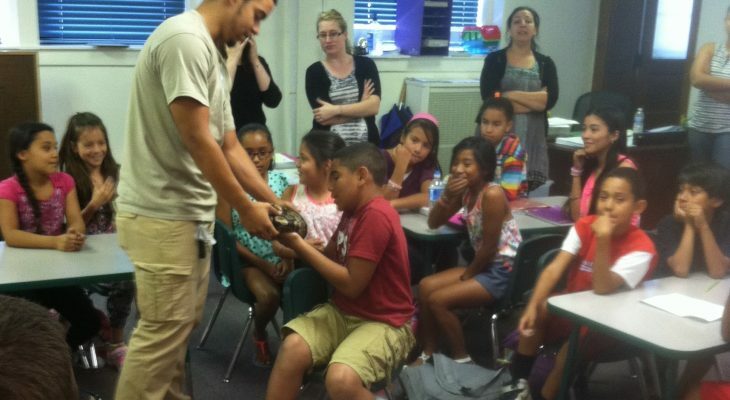 The Northampton County 4-H Program is working to expand youth outreach to Northampton County’s Urban Centers using environmental science curriculum. 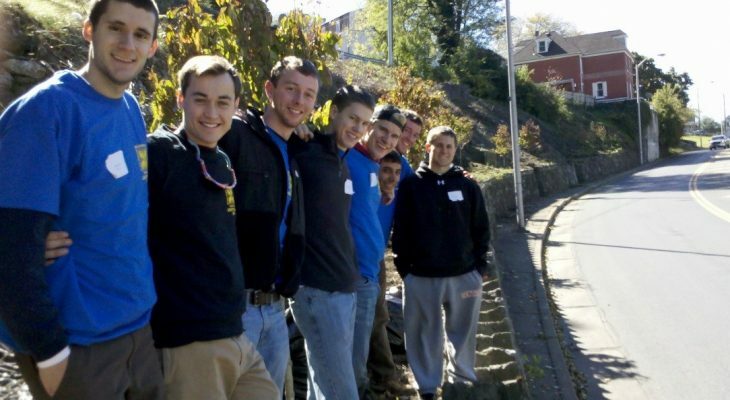 Throughout 2016 and 2017, the program collaborated with the Community Action Committee of the Lehigh Valley (CACLV) to bring 4-H Environmental Science projects to the youth located in the West Ward of Easton. 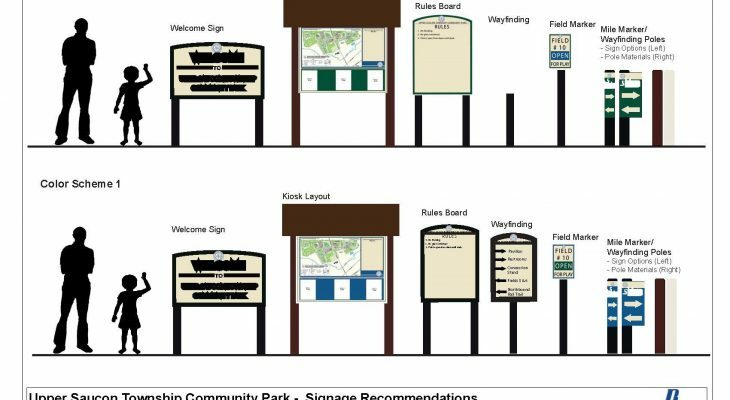 Upper Saucon Township was looking to upgrade the signage package and wayfinding at the Upper Saucon Township Community Park. The Park, on Preston Lane, was completed in the 1990s. It is currently the only park in Upper Saucon Township, and sees heavy use. With ten playing fields, it serves as the home field for field for three Southern Lehigh sports organizations. Additionally, the Upper Saucon Township Community Park houses the Southern Lehigh Public Library, and serves as a trailhead for the Saucon Rail Trail for trail users going north to Hellertown Borough or south to Coopersburg Borough. In 2016, the City of Easton constructed Phase I of a bicycle park located in Hugh Moore Park near the National Canal Museum. This initial phase of the project was aimed at helping riders of all ages develop better skills by navigating a course of built features. Phase II of the project, which was funded in part through this mini-grant, was for a bicycle playground component designed for younger riders age 3-10 yrs. The playground was completed in July 2018 and has been an extremely popular family destination which includes a winding course filled with fun features such as tunnels and an obstacle course of large concrete traffic cons. The City is planning to construct a third phase of the bicycle park in 2020 which will be geared to more experienced riders that are able to navigate more aggressive types of features. The main purpose of this project is a multilateral one, the creation of an outdoor educational classroom that provides a visual tool for elementary age children, and a mini eco-system for wildlife and insect life providing them with a pollinator rich location/stop over for bees and butterflies and additional habitat for the life processes of these species. It will also provide local bird and small mammal forage and habitat through the winter months. Our food truck festival celebrated the beauty of the great outdoors across the Lehigh Valley. 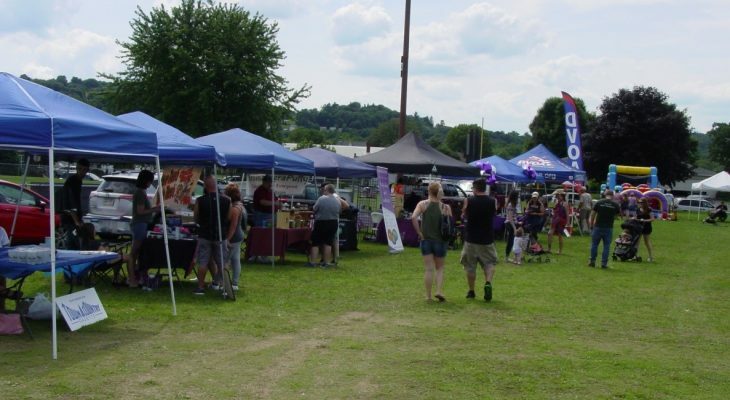 This inaugural event took place on Saturday, July 28, 2018 with the theme of “Everything Outdoors.” The free festival featured over 20 vendors, 5 food trucks and had a steady flow of participants all day! The event was a true success and furthered our goal of encouraging the community to celebrate the outdoors. 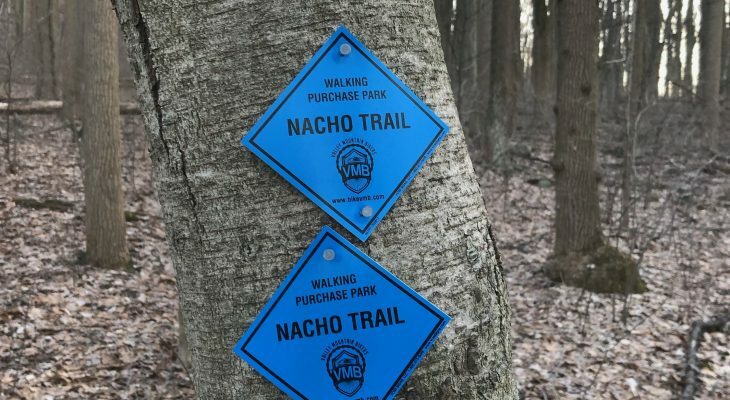 Northern Lehigh is the perfect spot for outdoor enthusiasts as it contains the D&L Trail, the Appalachian Trail, the Lehigh River trail, the Slate Heritage Trail, and has an array of parks and open space. It was great having a variety of vendors such as the local Lehigh Gap Nature Center to nationally known LL Bean. The Color of Nature program trains conservation leaders from communities of color to serve as role models and lead nature programs. 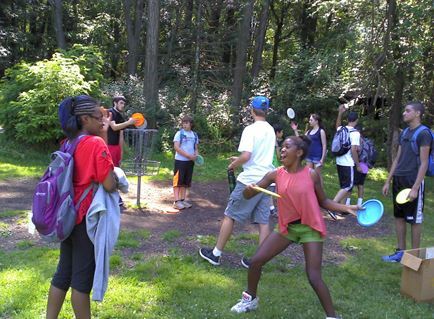 This grant helped expand the program with two environmental mini day camps, 20 park programs, 64 after school club programs, and 12 summer school programs for Allentown youth. 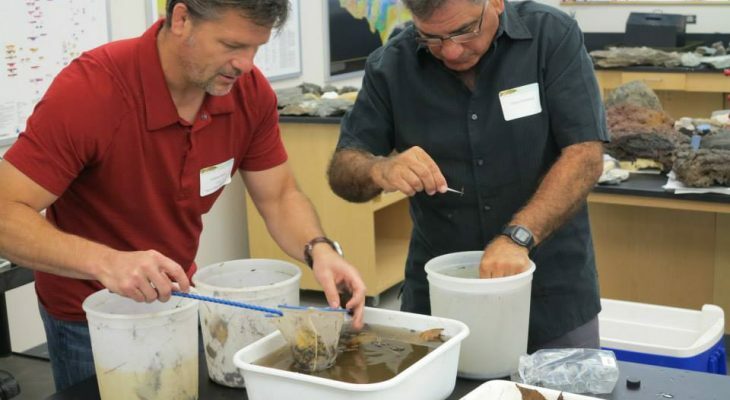 Over 250 watershed stakeholders came together on October 13, 2015 at Lehigh University to engage with speakers on a variety of water resource topics from green infrastructure to amphibian ecology to riparian buffers and drinking water. New this year were a landscape track for professionals and a student networking session. 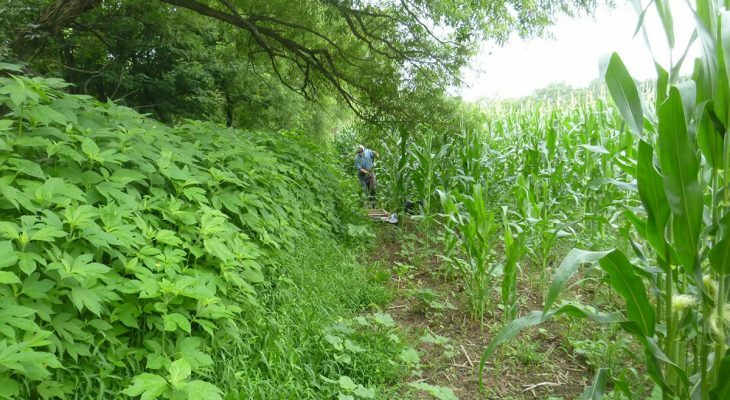 Bushkill Township targeted 150 feet of severely impacted Sober’s Run streambank for restoration. 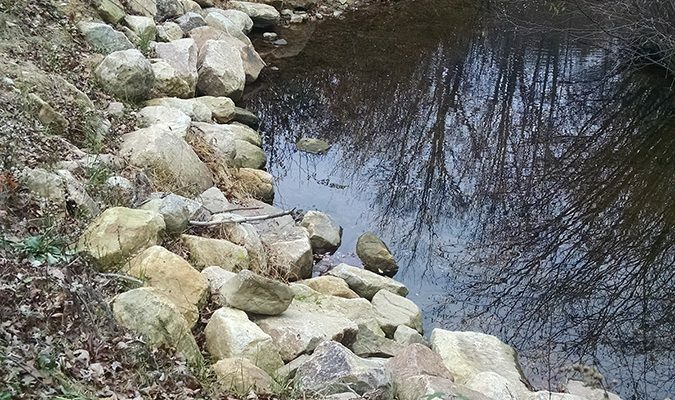 They installed natural boulders and two rock vane deflectors in an effort to stop erosion of the streambank and stabilized the upper streambanks with native vegetation. 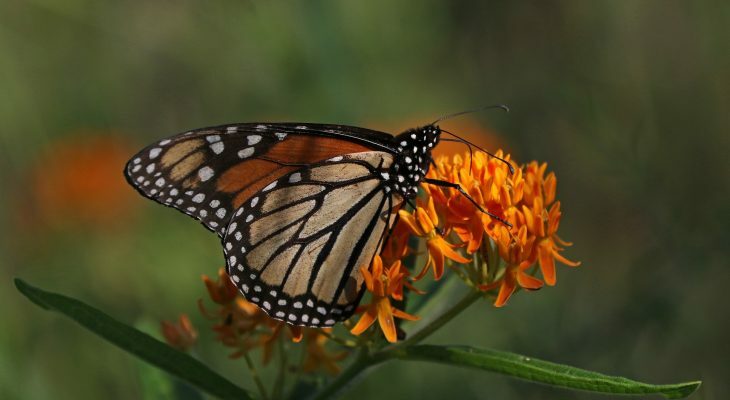 During the second year of the program, LGNC continued to fund well-designed native plant landscaping projects that benefit the local wildlife and ecosystems, while at the same time offering a healthier, attractive landscaping alternative for residents and communities. They also developed a pocket buyer’s guide for native plants and organized five native plant workshops. 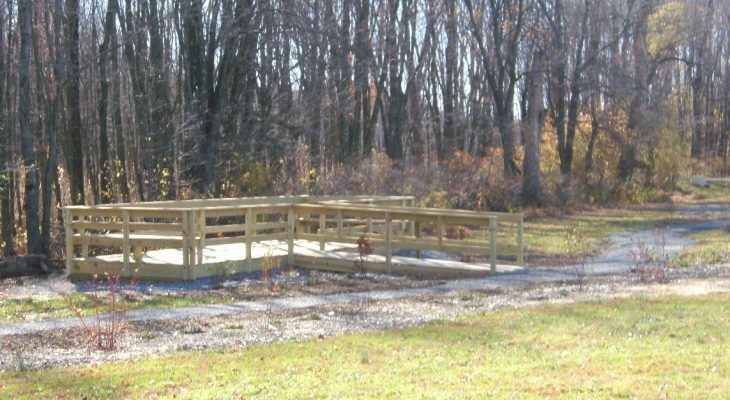 This grant was crucial to installing a raised deck observation/teaching area and 750 feet of connecting trail to link the barn and parking area with the observation deck, wetlands and native plant area. 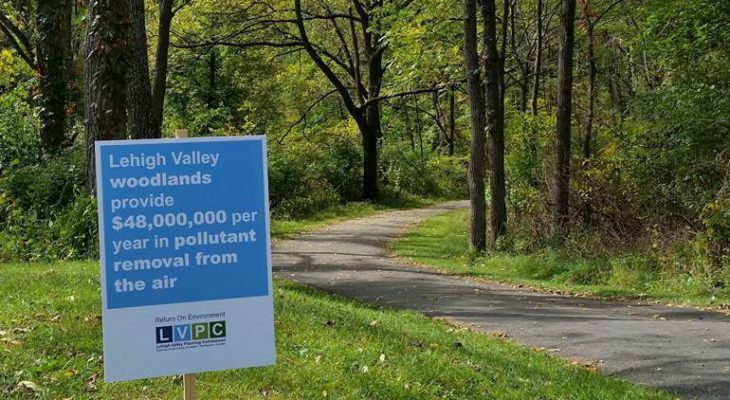 This project created a summary of the 2014 Lehigh Valley Return on Environment report. Outreach was provided to municipalities and the general public through presentations, yard signs, factsheet handouts, and full copies of the report. Monocacy Creek is a High Quality Coldwater Fishery and a Class A wild trout stream, but a run-of-the-river dam was degrading habitat, water quality and obscuring fish passage. Dams were removed to restore natural flow and wildlife habitat while reducing flooding and erosion. To further improve stream conditions and habitat, a native riparian buffer was planted along both sides of the stream. 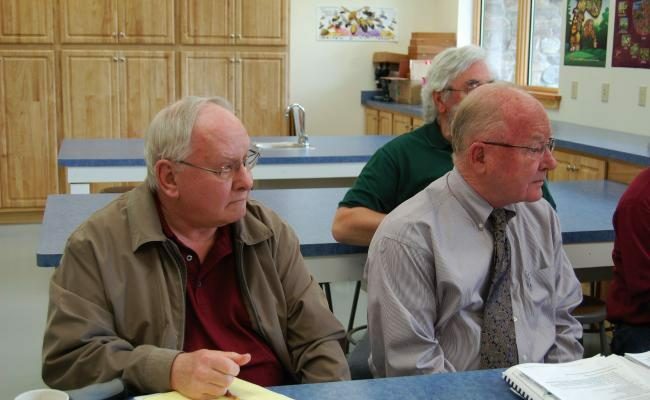 The project entailed constructing a trail extension along the eastern boundary of the Township municipal complex to a proposed trail head location with its own parking area. The extension joined the original rail trail and a link constructed by the Township. The Keystone Active Zone (KAZ) Passport encourages people to get outside and active at close-to-home parks, trails, and outdoor events, highlighting the D&L Trail and anthracite heritage. In 2014, the passport’s focus on the D&L Trail promoted existing trail miles and the future trail extension through bicycle rides and walks attracting nearly 3,000 attendees. This grant funded part of the training for a class of 18 Master Watershed Stewards that will continue as knowledgeable volunteers that can reach out to the adult and school-age population to encourage stewardship and educate the community to increase the health of the Lehigh River watershed. 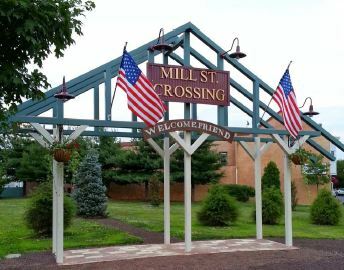 The Mill Street Crossing project enhanced the visibility and connection of the Delaware River, Bristol Marsh, Delaware Canal and Towpath (D&L Trail) and location of historic railroad and trolley line crossings. An abandoned corner property was spruced up with signs, pervious pathways for pedestrian connections, and native plants for beautification and ecological restoration. The Color of Nature program trains conservation leaders from communities of color to serve as role models and lead nature programs. This grant helped recruit and train two additional leaders and fund 25 summer park programs, 7 school ecology club programs, and 4 family oriented nature walks. 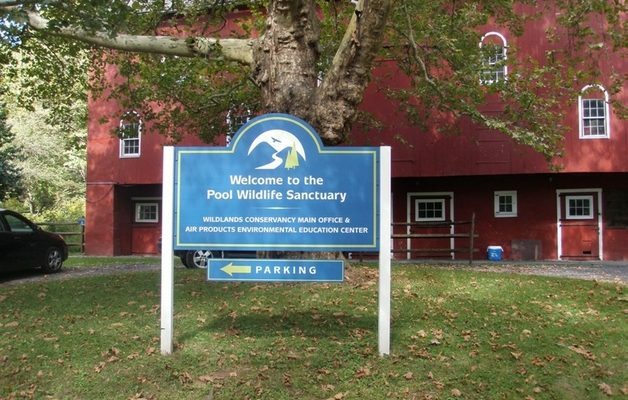 “Heritage Conservancy developed a wetland ecosystem teaching guide to supplement their established experiential-learning education program at Bristol Marsh. Initially, 300 Bristol Marsh: Learning Beyond the Classroom guides were printed and distributed to 48 schools with digital copies available. 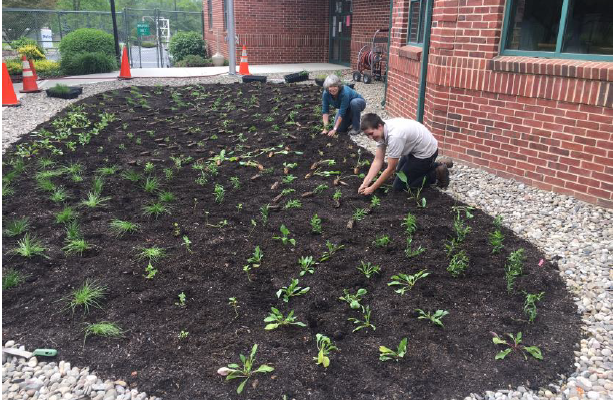 Throughout the Lehigh Valley, the 2014 class of Master Watershed Stewards installed three rain gardens, eight educational signs, and 150 feet of riparian buffer at the Atlas Dam removal site, as well as, creating two educational displays on groundwater and aquaponics. 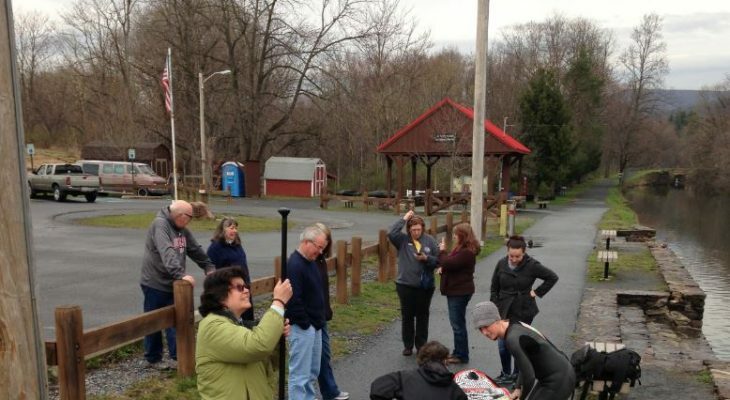 Wilkes-Barre Family YMCA worked with partners to gather trail use data with three trail counter devices installed along the D&L Trail and a paper survey to collect trail economic impact data. 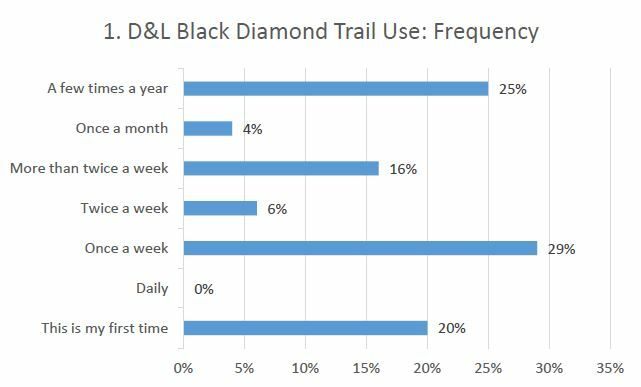 Results showed the Lehigh Tannery trail section had the highest number of users reaching over 1,000 users/week in the spring. 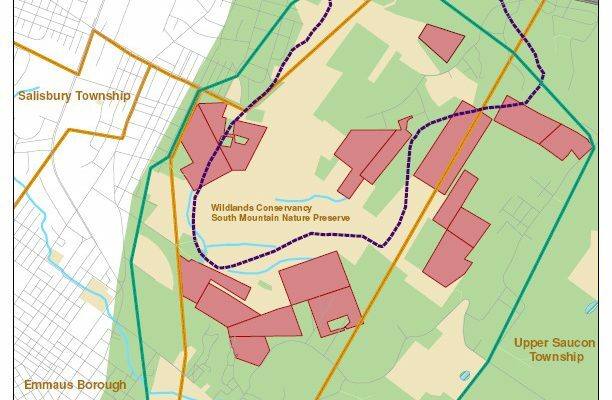 Upper Saucon Township, with Wildlands Conservancy as a consultant, identified parcels along South Mountain that could provide access points and additional acreage to South Mountain Preserve. Wildlands performed landowner outreach, successfully made contact with approximately half the property owners, and a 4.2 acre parcel was acquired. 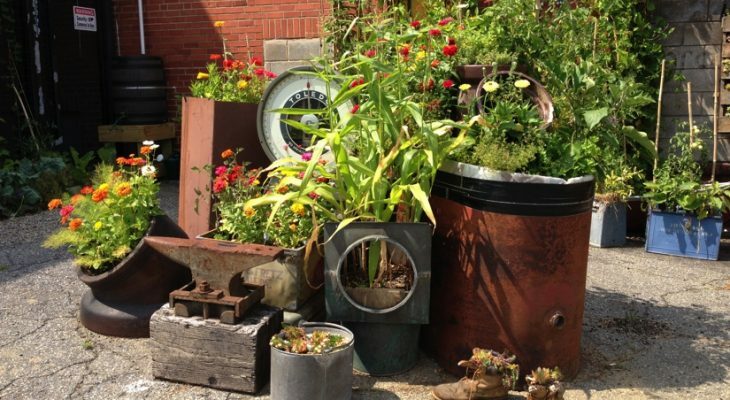 This program aims to educate the public about the benefits of using native plants in residential landscaping. 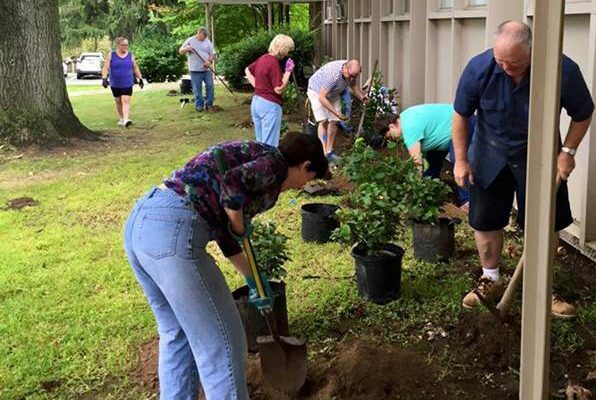 The first year focused on installing educational native plant gardens and signs at public locations and hosting three native plant workshops. 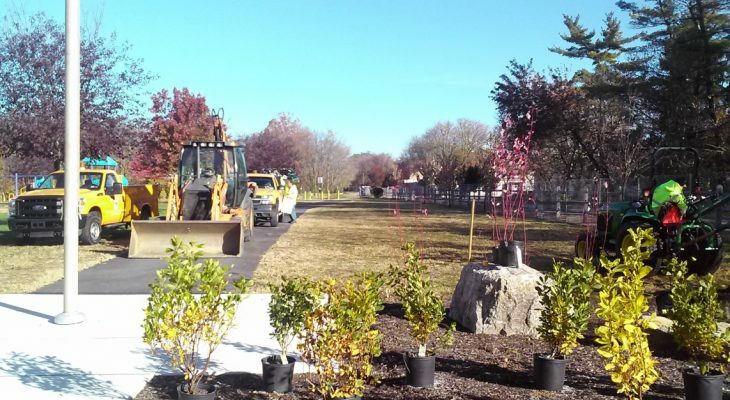 Borough of Hellertown planted native trees, shrubs, and groundcover to re-vegetate the bank of Saucon Creek through Water Street Park and create rain gardens in accordance with the 2013 master park plan. 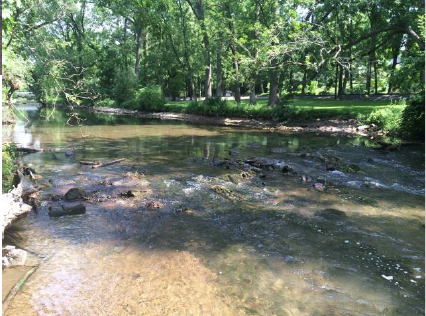 This grant helped fund the completion of Erosion & Sedimentation Control Plan review, Phase I Archeological Survey report, and securing NPDES permits to prepare for constructing 1.9 miles of Jordan Creek Greenway west of Covered Bridge Park in South Whitehall Township. 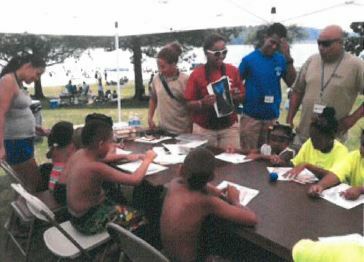 Lehigh Valley Adventure Camp Phase IV was held June 18-22, 2012 offering a free, weeklong outdoor camp with meaningful outdoor recreation activities for 15 campers from Bethlehem incorporating environmental, cultural and historical activities. D&L made updates to the Lehigh Valley Greenways page on their website to accept applications for Lehigh Valley Greenways mini-grants through the website. 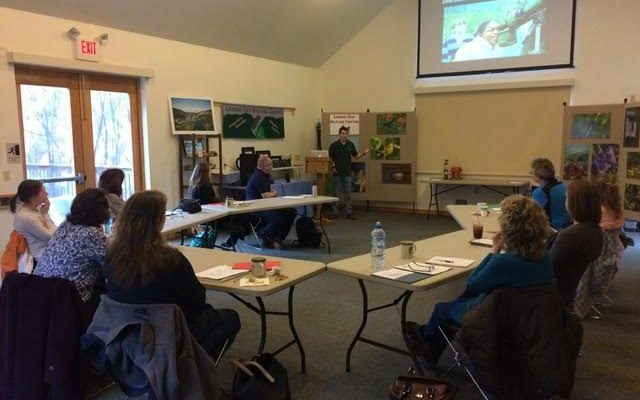 Lehigh Gap Nature Center hosted the first Kittatinny Science Summit focused on identifying researchers working in the Kittatinny Corridor, connecting researchers for collaboration, and identifying gaps in the data and research. 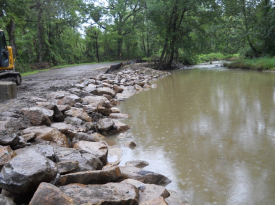 Bushkill Township completed a streambank restoration along 150 feet of severely eroded bank along Sober’s Run in the northern portion of Jacobsburg State Park. 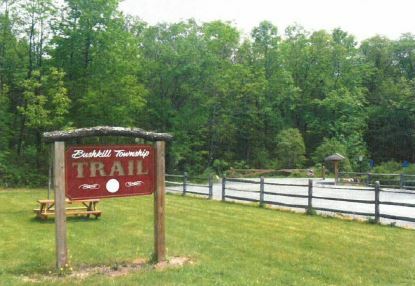 Heritage Conservancy and Bushkill Township met with landowners and provided a series of workshops with information about the economic, recreation, health and education benefits of trails with an end goal of finding a potential route for connecting Jacobsburg State Park to the Blue Mountain. 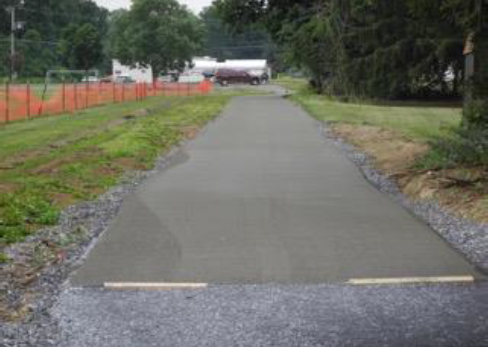 The D&L Trail: Weissport Trailhead was releveled and improved with new asphalt parking lot surface to eliminate standing water, potholes and drainage issues and make it safer and easier to access the parking and D&L Trail. 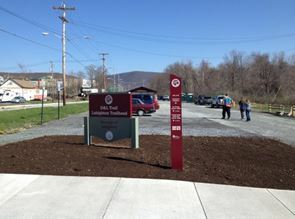 The Borough of Lehighton developed a trailhead along the D&L Trail on land donated by the Lehighton Sewer Authority. The project added ADA parking, interpretive and directional signs, and a pavilion. 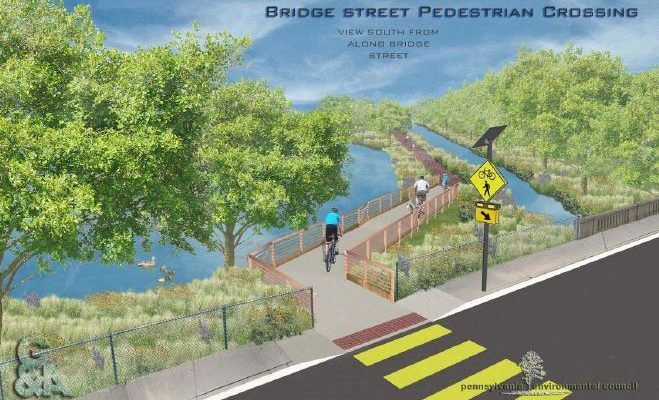 Working with local and regional stakeholders, PA Environmental Council (PEC) devised a plan to solve the Morrisville Borough Bridge Street crossing along the D&L Trail. The feasibility study will guide the implementation and construction to create a safer road crossing and connect the trail. 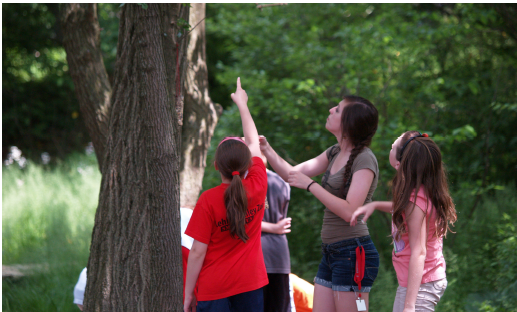 Wildlands Conservancy developed and facilitated six experimental environmental education activities, presented 51 in-school programs, and led 2 clean-ups in Lechauweki Park with Bethlehem Area School District’s Fountain Hill Elementary School. 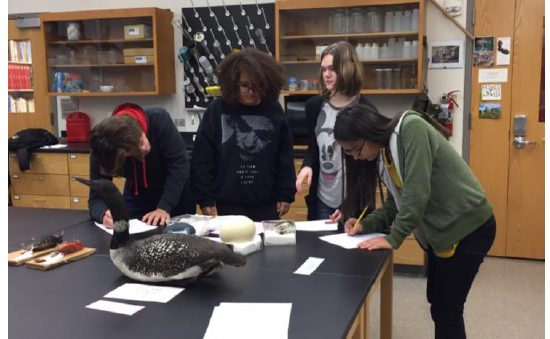 Lehigh Gap Nature Center hosted the Kittatinny Science and Research Summit II focused on “closing the gaps” in research and monitoring data that is critical to conservation. A variety of state officials, universities and non-profit conservation partners were among the 65 attendees. The Conservation Diversity Initiative was launched to help connect people of color with nature by training conservation leaders to build capacity within communities of color to lead nature programs. This grant helped recruit and train 8 leaders for bilingual family nature walks and environmental education programs at local parks. 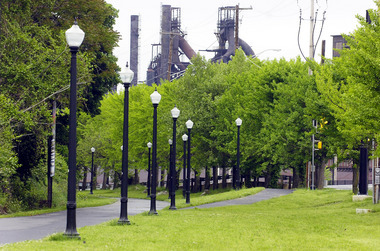 In order to document the economic impacts of the South Bethlehem Greenway, the City of Bethlehem collaborated with the Lehigh University Social Science Research Center to conduct a Southside Greenway Utilization Report. This report was compiled through partnership with Liberty High School students conducting surveys of Greenway users. This information is intended to be a baseline to monitor the Greenway’s expanding impact over time. The Hugh Moore Park bike trail is a significant connection between Delaware Canal State Park and Hugh Moore Park. This trail was significantly deteriorated and the existing blacktop bike path required resurfacing. This section of trail reaches from the South 3rd Street Bridge to the Abbot Street Lock. This project involved restoration of the Bushkill Creek streambank and riparian buffer. A popular area for fishing, hiking and biking (known locally as the “Penny Hole”), the restoration of a riparian buffer resulted in beneficial environmental impacts as well as improving the aesthetic value of the Creek. 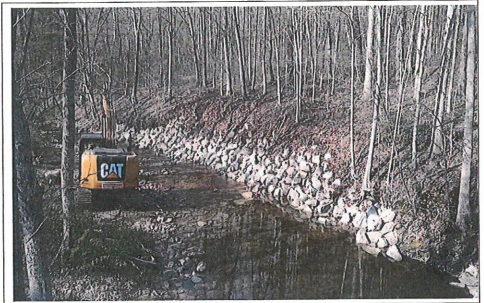 By removing existing gabion baskets and installing flow deflectors, stabilizing the streambank allowed to riparian buffer to reestablish itself to assist in recuperating the health of Bushkill Creek. 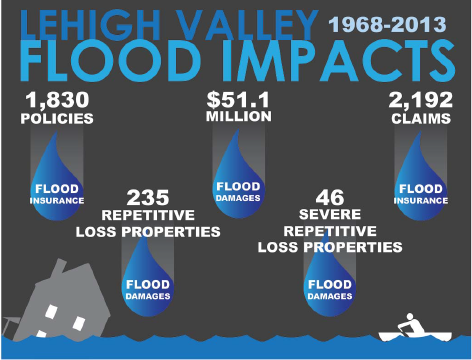 The Lehigh Valley Planning Commission released updated model floodplain regulations in advance of Northampton County communities receiving new Flood Insurance Rate Maps (FIRMs) in the summer of 2014. These model regulations serve as a guide to inform municipalities that may be required to change floodplain management ordinances. 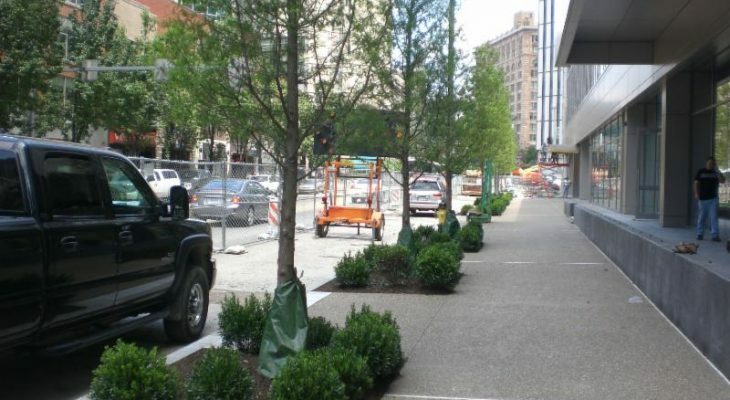 The City of Bethlehem has worked to develop a modern urban forestry management plan and to expand programs aimed at community involvement, education and outreach. Hiring of a full-time Urban Forester assisted in achieving goals such as regulation changes, tree inventories, and street improvement projects. The main pedestrian connection from downtown Easton to the Lachenour Heights neighborhood, Smith Street Hill faced continued soil erosion issues that threatened pedestrian and traffic safety. The installation of an urban meadow utilizing native grasses and wildflowers has served to stabilize the steep bank as well as create an attractive landscape that both improves aesthetic value and limits ongoing maintenance costs to the City. 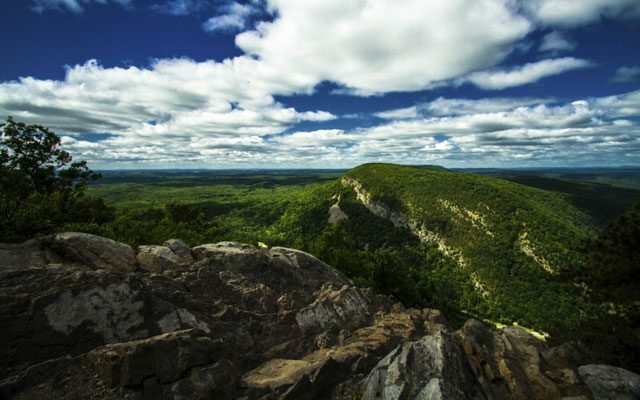 The Kittatinny Ridge lies between two conservation landscapes and within multiple townships and municipalities. Because of this, it often gets overlooked in conservation measures. 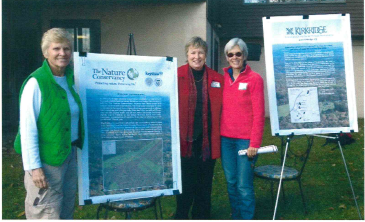 Because the Lehigh Gap Nature Center considers protection of the Kittatinny Ridge as part of its mission, workshops and educational events were held in collaboration with Moravian College in order to educate at the grassroots level. These events highlighted the importance of this resource and conservation in the face of many threats. 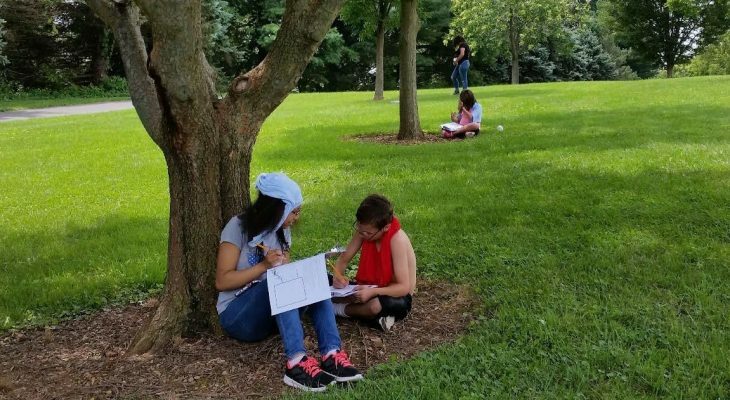 The Jordan Creek Greenway EnviroMentor program was developed in order to enable high school students, especially those involved in environmental studies or environmental clubs, to work with elementary and middle school students with similar interests. Throughout this program, students from Allentown Central Catholic High School and Parkland High School were presented with programs about the ecology of the Jordan Creek Greenway, which was then shared in presentations with mentored elementary school students. The South Mountain Nature Preserve is part of the federally designated and county recognized Pennsylvania Highlands. Conservation of the Highlands is a priority in order to preserve the cultural and ecological quality of this region. The Wildlands Conservancy worked to add approximately 300 acres to its South Mountain Preserve, proceeding with landowner outreach and site analysis. Conservation of both the Minsi Lake Landscape and the Kittatinny Ridge are priorities throughout the Lehigh Valley. 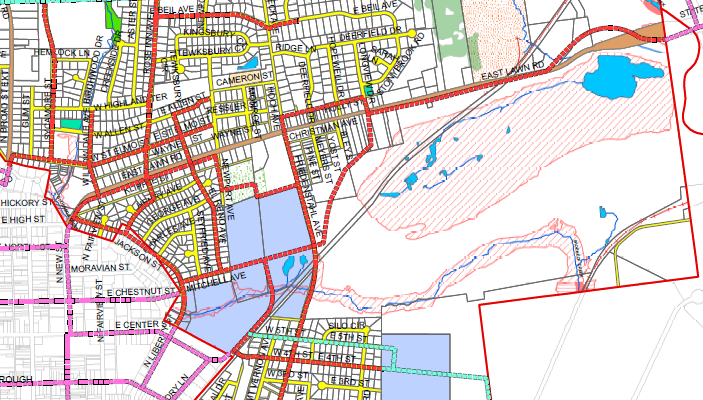 The Northampton County Parks 2002 Plan cites the Greater Minsi Lake Corridor as an important ecological corridor and recommended its further protection. The Nature Conservancy worked to ensure conservation of this resource by working with landowners to acquire parcels, providing technical expertise and hosting guided outings and educational events with local partners. of the Delaware River, wetland, and wooded areas.